The MCG deck is looking different than usual. 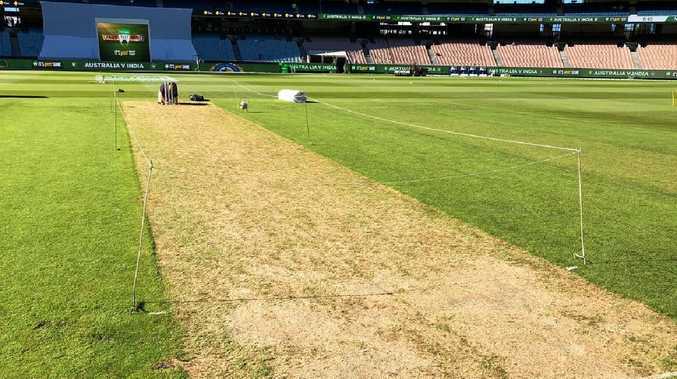 THE MCG was put on notice after last year's Ashes snooze-fest on a lifeless deck and curator Matt Page has heard the words of warning, leaving 10mm of grass on a pitch that will make bowlers' eyes light up on day one. The pitch didn't put Virat Kohli off though withteh Indian skipper electing to bat first after winning the toss. Kohli said although there was plenty of grass on the pitch he thought it was dry underneath, which would make it harder to bat on in the third and fourth innings. Tim Paine said he wasn't sure what he would have done if he'd won the toss but wasn't unhappy to be bowling. Last summer's wicket was flat and bare and there was concern it might be a similar tale in 2018, especially after a couple of dull Sheffield Shield matches. But there's plenty of thick grass on the pitch for this Test match - so much so a couple of former Test stars would be tempted to bowl first. Ed Cowan said batting last might be the best option. "I've had a look at the pitch and there is plenty of grass, the best batting conditions might be last," he said.Ex-Australian captain Allan Border described the healthy grass covering as "furry" and also said bowling first is a genuine possibility, though admitted it would be a brave call to make. "It should help the bowlers particularly with the newer ball and it will firm up as the game goes on, particularly with this weather," Border told Fox Cricket as temperatures are expected to soar during the week. "The history of this pitch tends to be that it gets better as the game flows on so you're not so worried about batting last so to try and take the game by the scruff of the neck I would be tempted to bowl first." Ex-Test seamer Trent Copeland was a little surprised with the sight that greeted him. 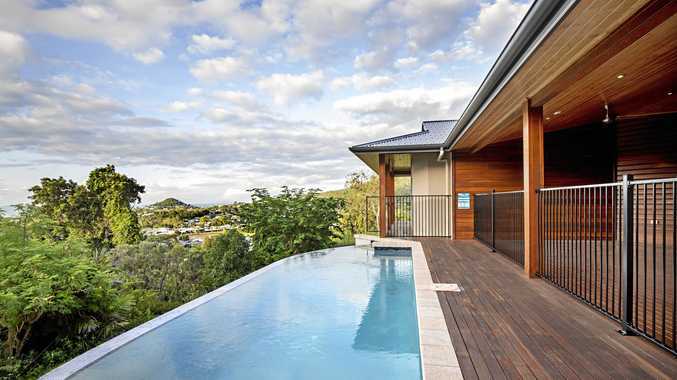 "There's certainly a bit of live grass there, and patchy grass," he said. "It's going to be hard work for the batters." Former England international Isa Guha said the pitch looked vastly different to anything the MCG had dished up in the past couple of years.